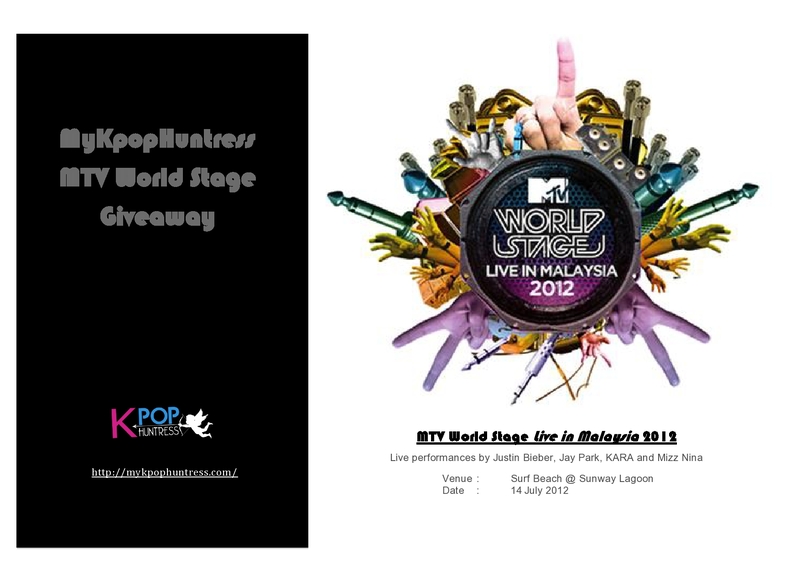 As you all know, MTV World Stage Live in Malaysia 2012 is set to take place on July 14th 2012 at Sunway Lagoon Surf Beach. This year, line-up features are Justin Bieber, Jay Park, KARA and Mizz Nina. MyKpophuntress have a few pairs of passes to giveaway !!!! yeahhhh…. – Contest open between 6th of July (Friday) – 9th of July 2012 (Monday). – Winners will be picked and annouce on 8pm, Tuesday 10th July. – Multiple entries are allowed.